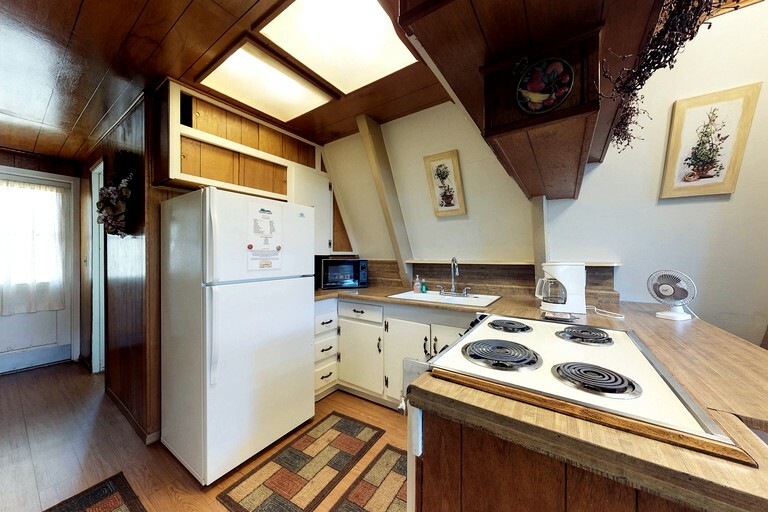 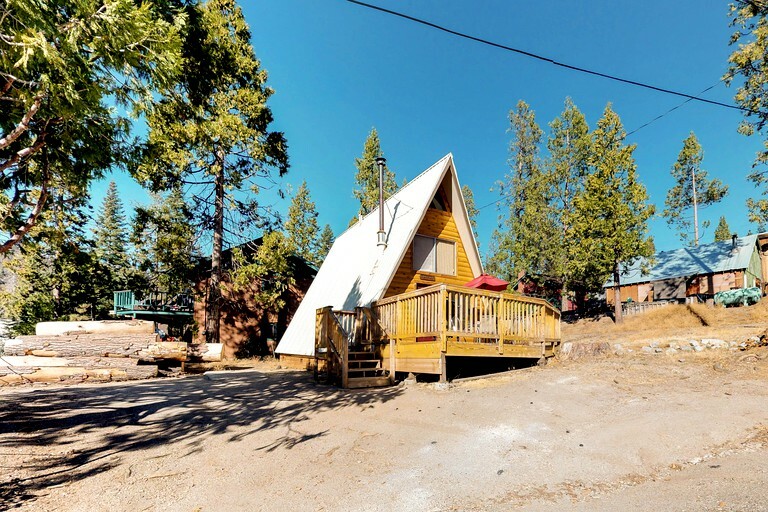 This lovely A-Frame cabin rental can be found in Shaver Lake, California, and is perfect for six glampers. 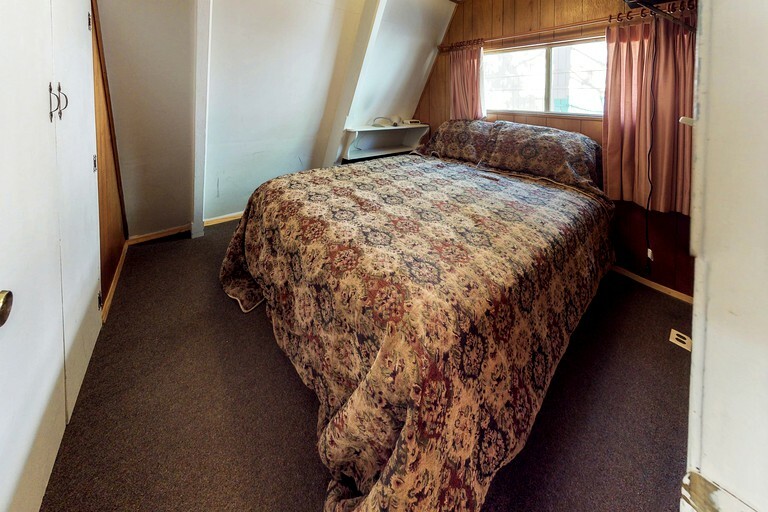 It has two wonderfully designed bedrooms with comfortable beds--one queen-size bed and one double-size bed. 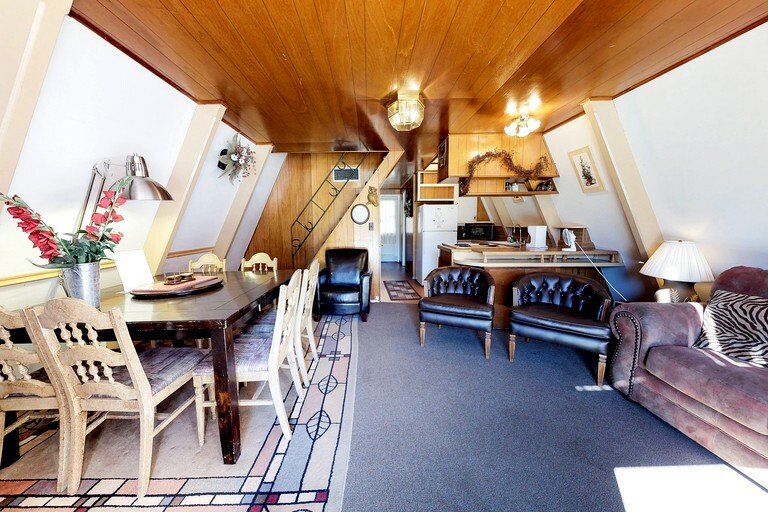 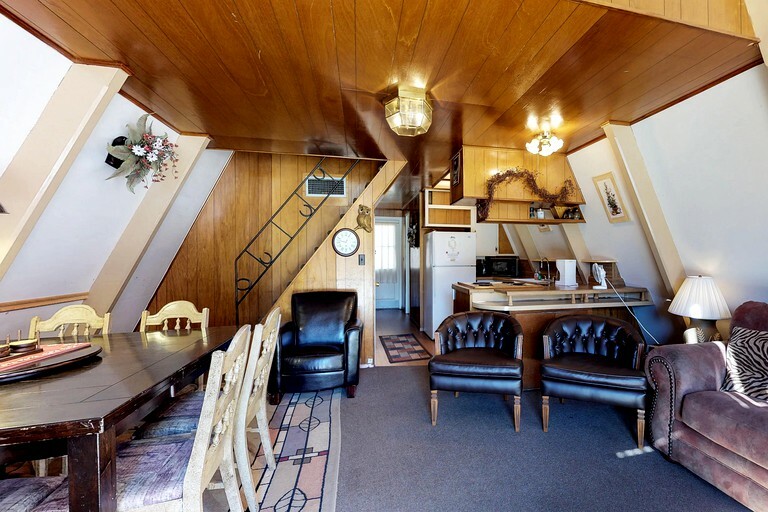 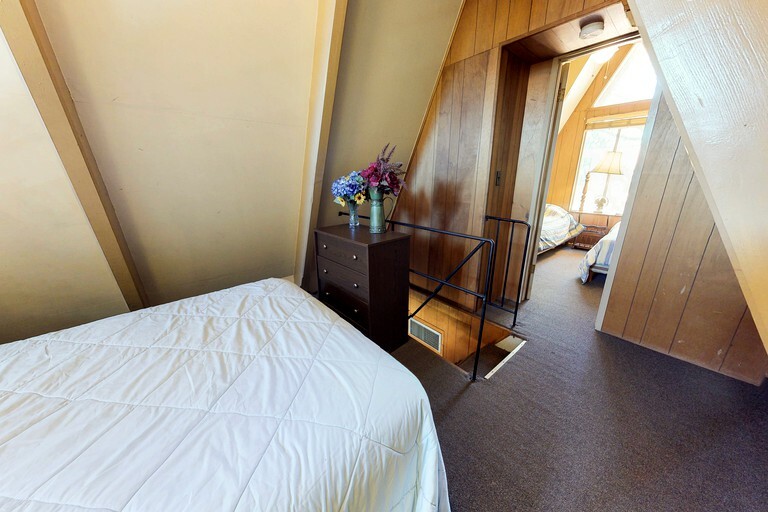 It also has a loft with two twin-size beds for that added sleeping quarters. 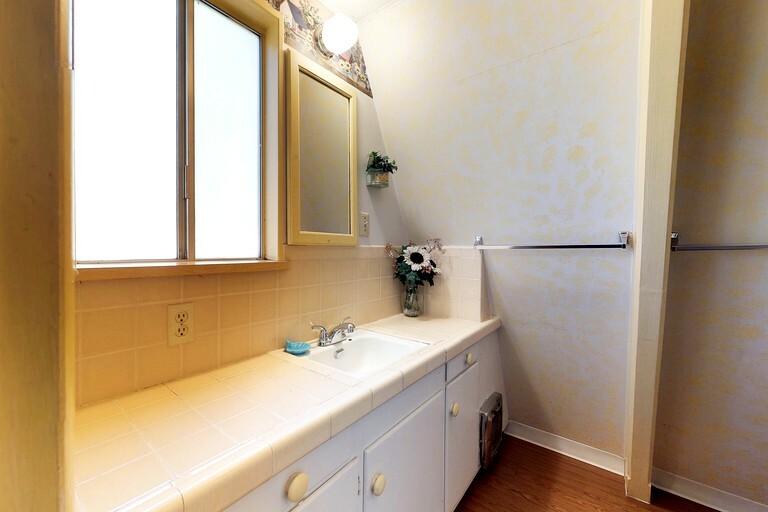 It has one fully-appointed and spotlessly clean bathroom for the convenience of guests. 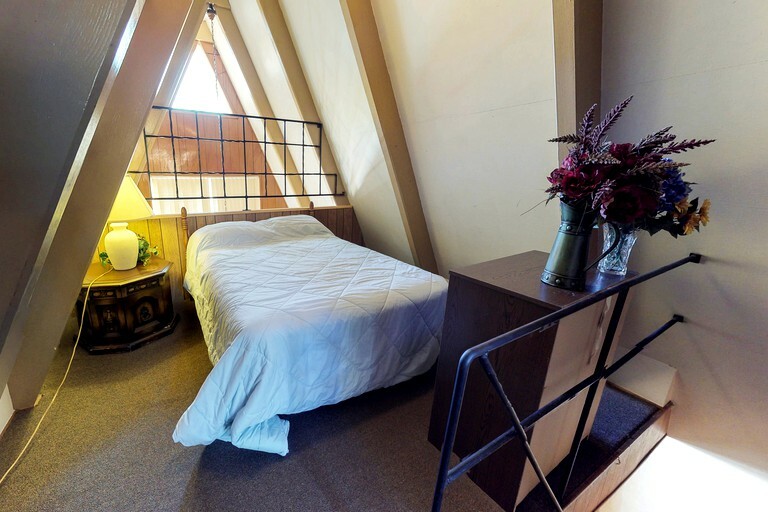 Linens and other essentials are provided free of charge. 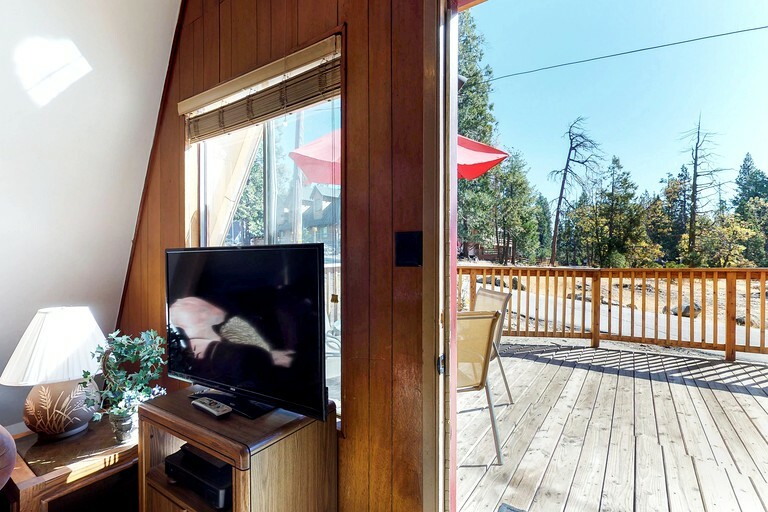 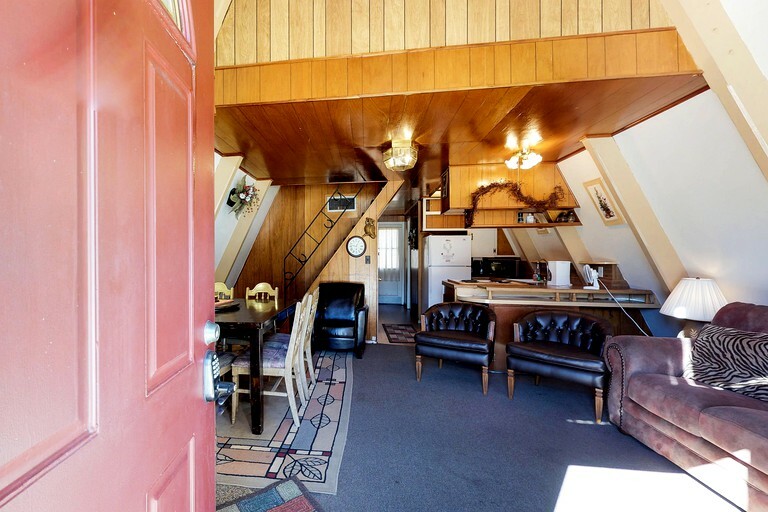 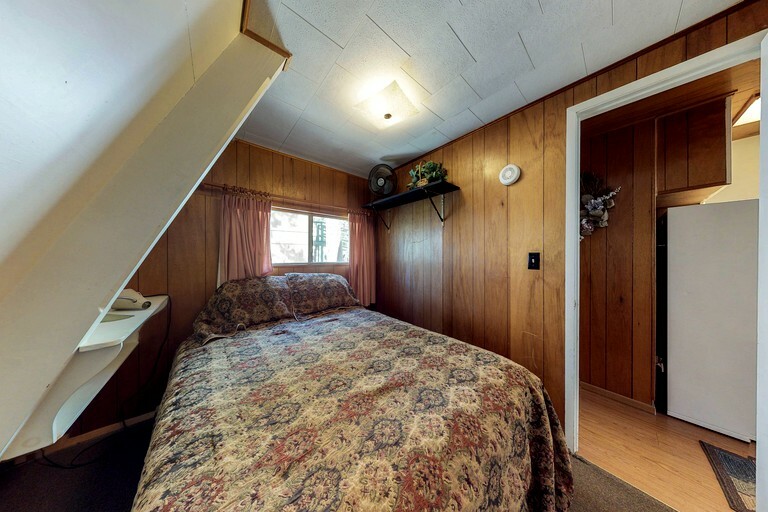 The cabin is mere minutes from Shaver Lake and is in close proximity to many of the region's top attractions making it convenient for travelers to move around and have a place to go to whenever they need to have a break from all the fun activities on the lake. 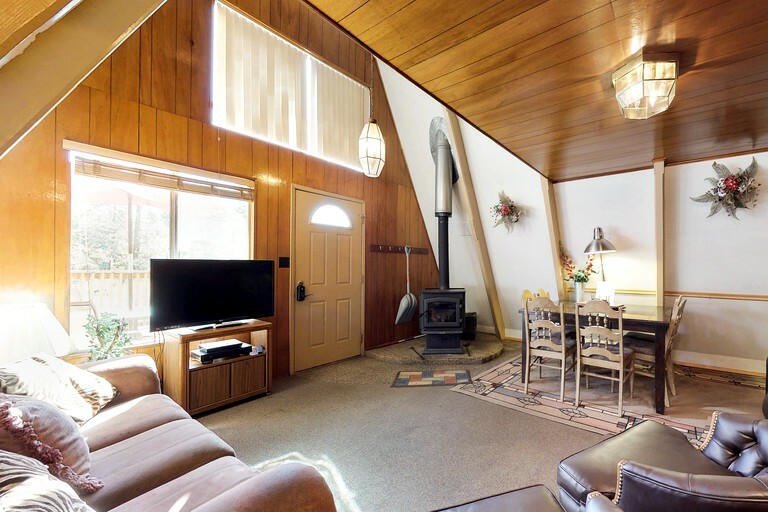 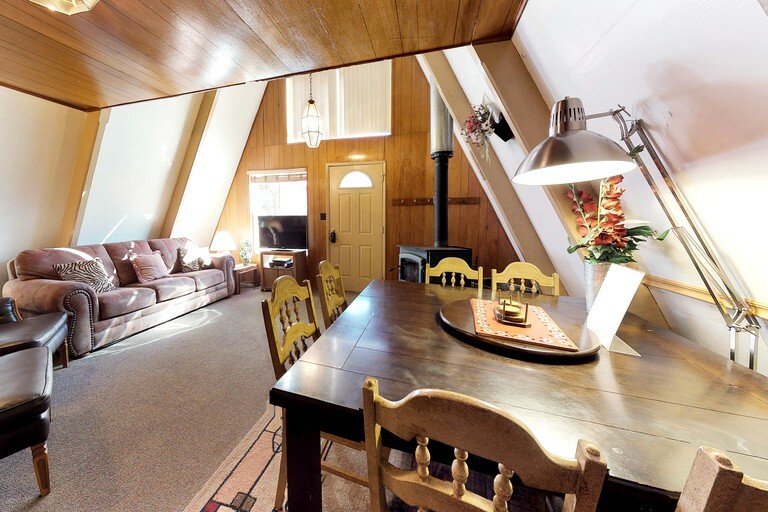 The living area has cozy seating, a wood stove, and a flat-screen TV for entertainment. 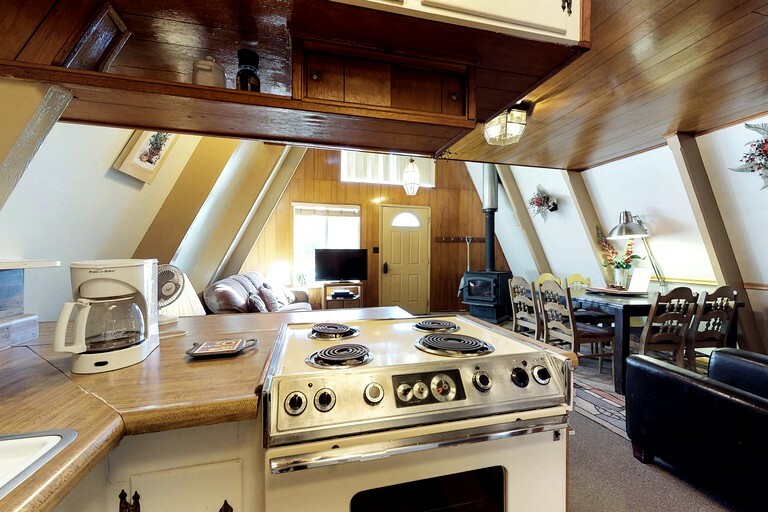 The kitchen is fully equipped with modern appliances and the basic cookware, cutlery, and utensils to make cooking fun and worry-free. 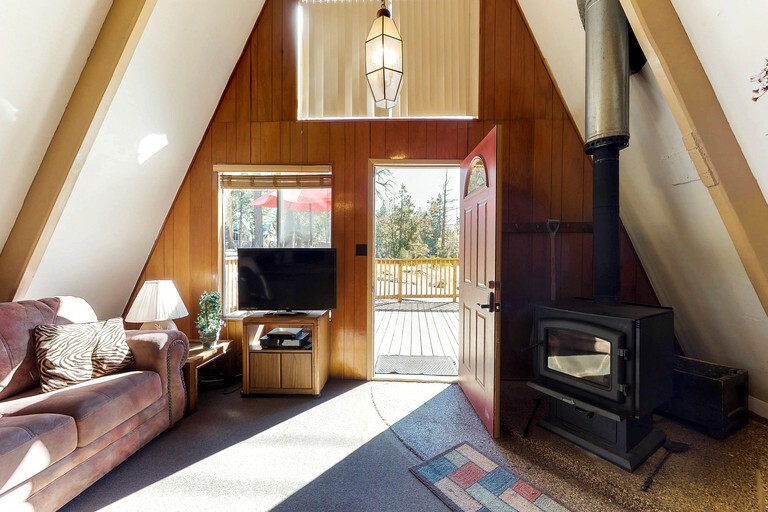 This A-frame cabin rental is fully equipped to make glamping on Shaver Lake a memorable experience for guests. 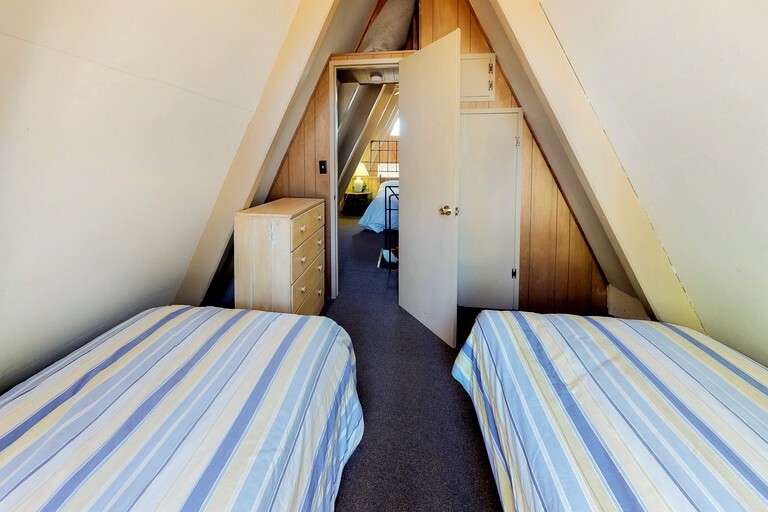 The bedrooms are well organized and supplied with comfy beds as well as linens and other essentials. 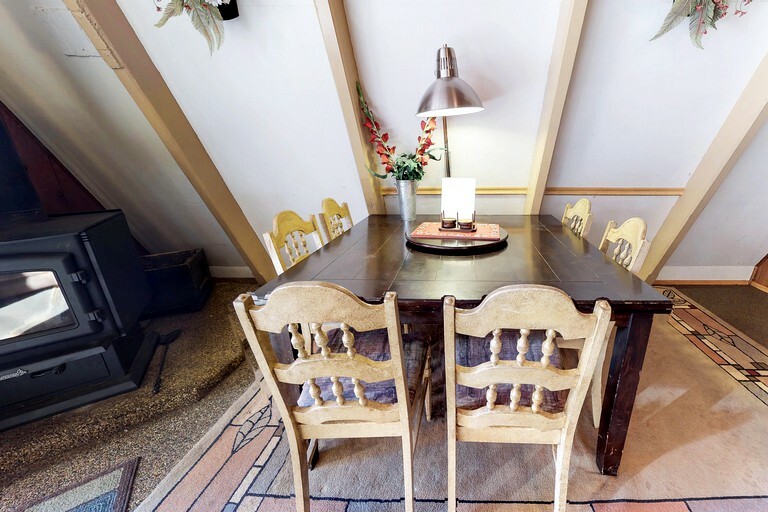 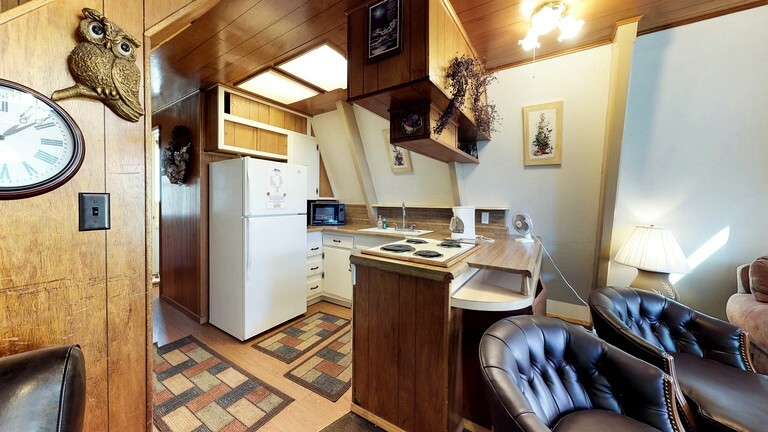 It has a full kitchen for easy cooking and a nice dining area where guests can enjoy their food without being hidden away from the common room thanks to the open layout concept of the cabin. 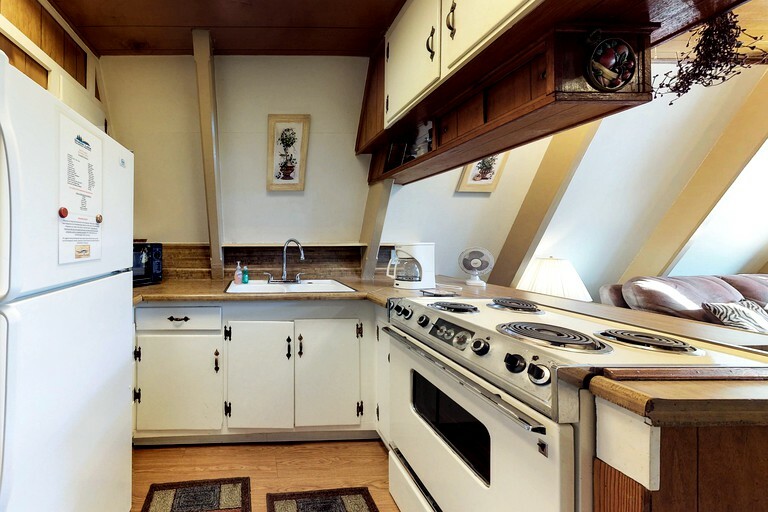 A wood stove can be fired up in the living area when things get too cold for comfort. 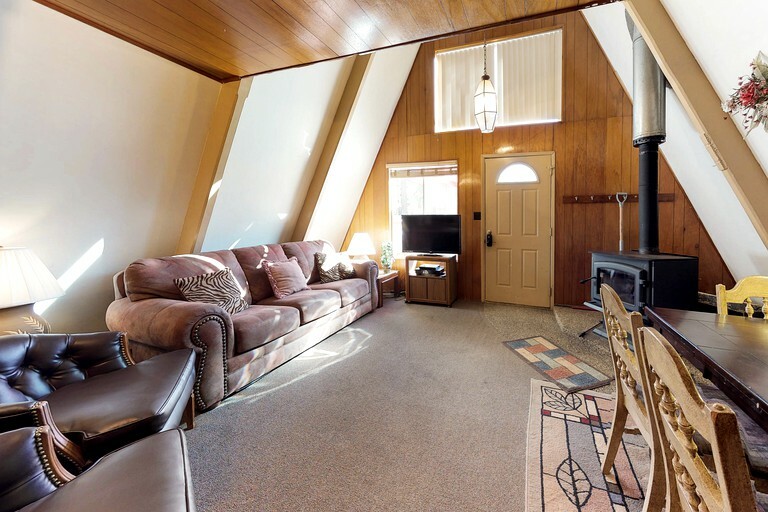 Visitors will love hanging out here on the cozy sofa while watching the flat-screen TV for entertainment. 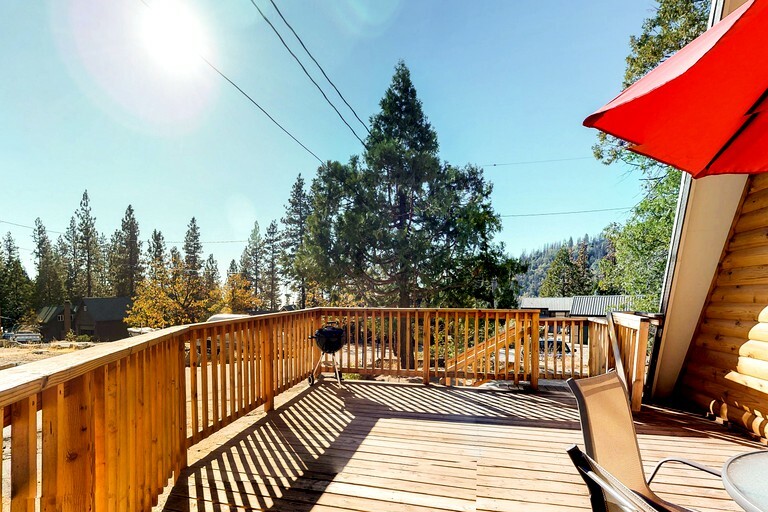 Outside, there is a spacious deck with a gas grill and a full outdoor dining set excellent for cookouts and al fresco dining. 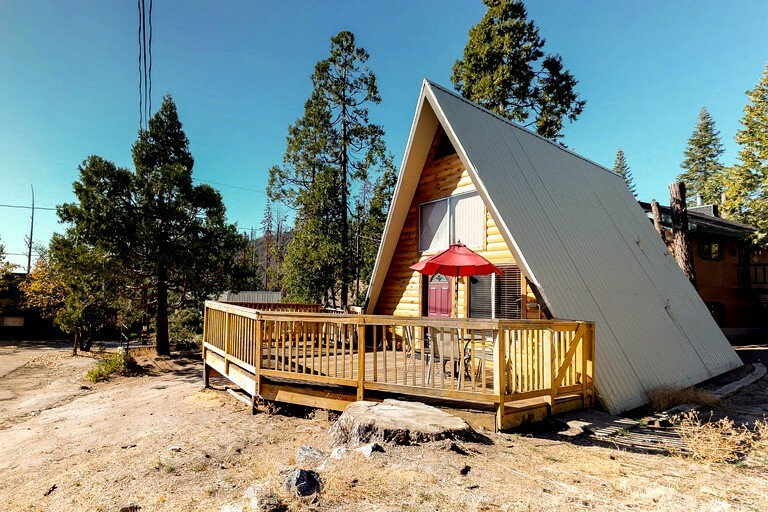 Shaver Lake is a perfect vacation spot for guests who love water activities such as boating and fishing. 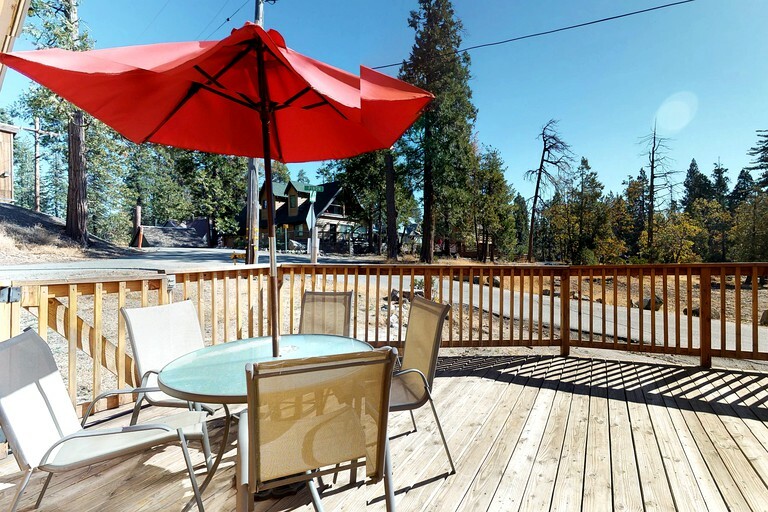 It also offers hiking and mountain biking trails in the surrounding woods or at the exciting China Peak Mountain Resort. 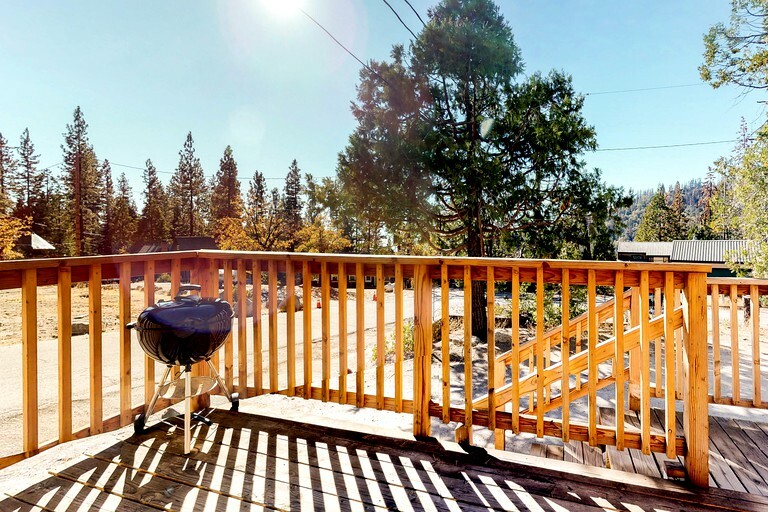 For a more relaxed pace, horseback riding is highly recommended in exploring the lake. 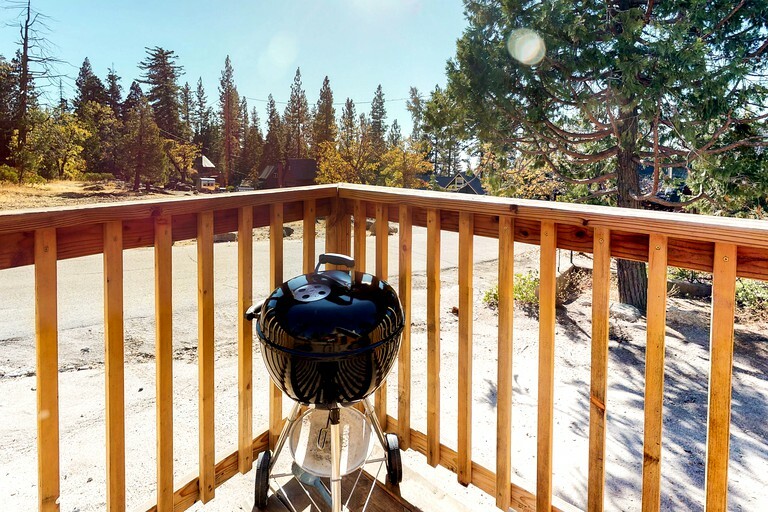 The Sierra National Forest has Off-Highway Vehicle trails for the adventurous and of course, rock climbing for the extreme outdoor lovers. 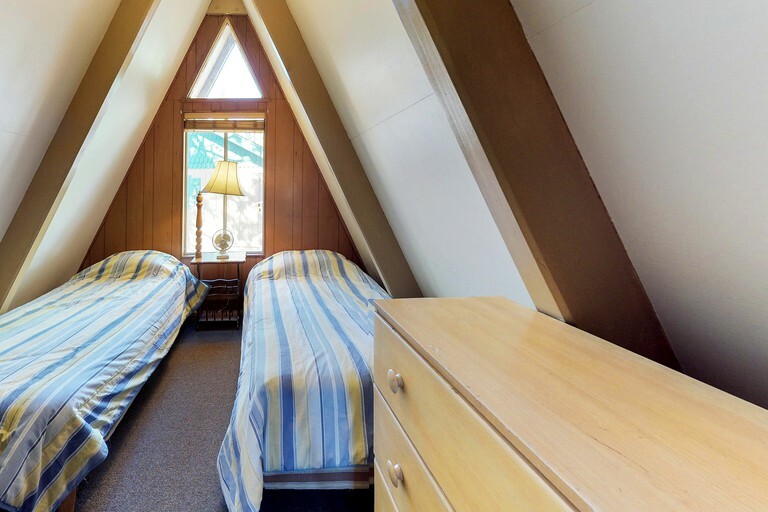 There is a minimum renting age of 25 years old. 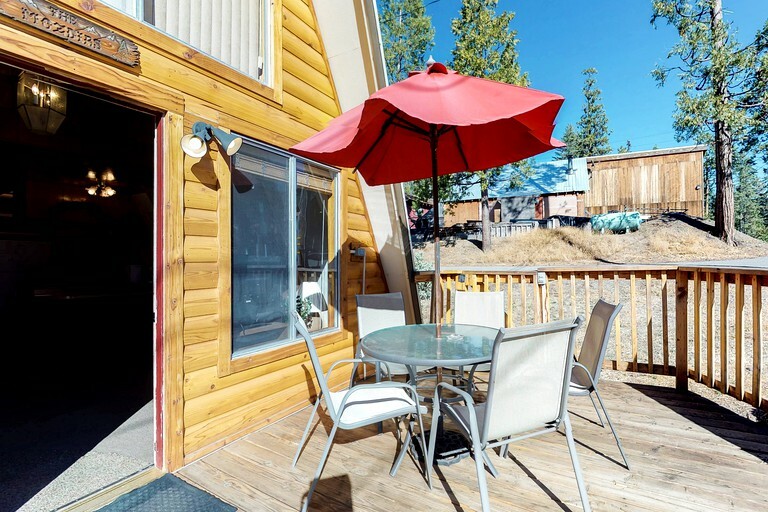 Pets smoking are not allowed on the property.